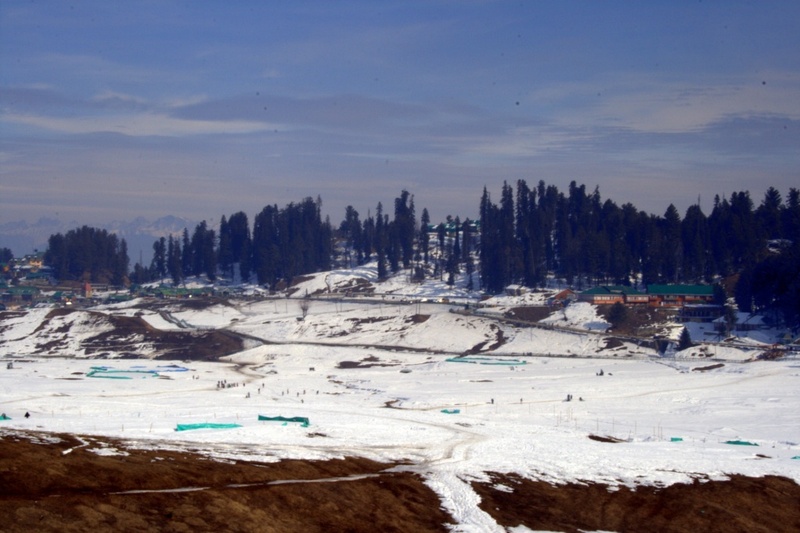 A perfectly sunny day as we set out for Gulmarg with thoughts of snow, sledding, snowman…..
Our first view was disappointing as we glimpsed snow in patches; untouched where the sun couldnt reach – other than that it was dry and so barren of snow. But as we climbed higher, our hopes revived when we saw the great big snowbanks – it held a promise of a lot more. 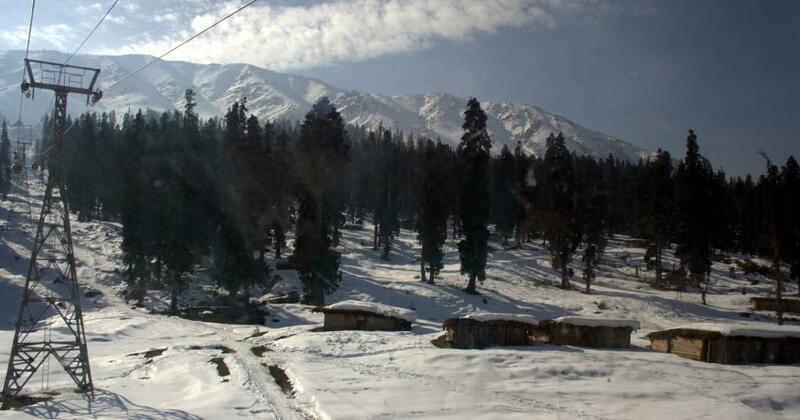 Finally, the meadows of Gulmarg- a huge bowl full of silvery snow which glittered like crystals in the sun. 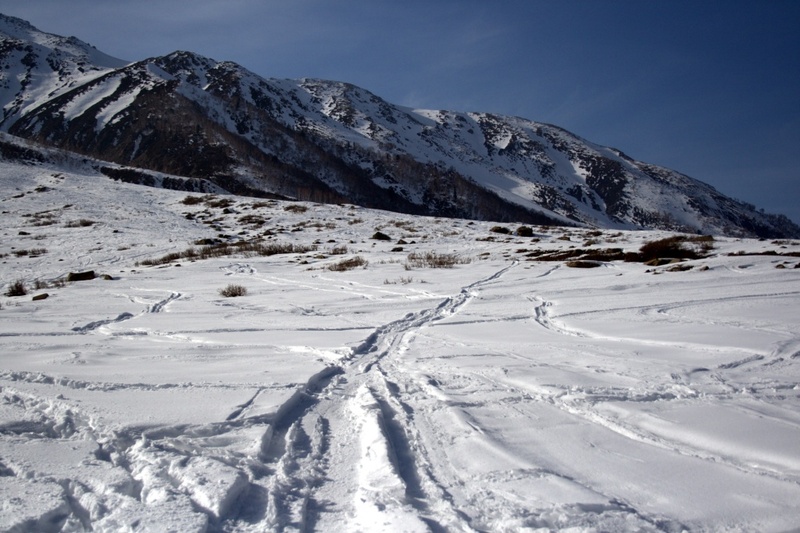 We could see some amateur ski attempts as well as sledding by some. Our destination was the Gondola- which would take us upto the first phase i.e. Kongdoori and if the weather gods favoured us then the second phase i.e. Afarwat where it stays cold and white year long. 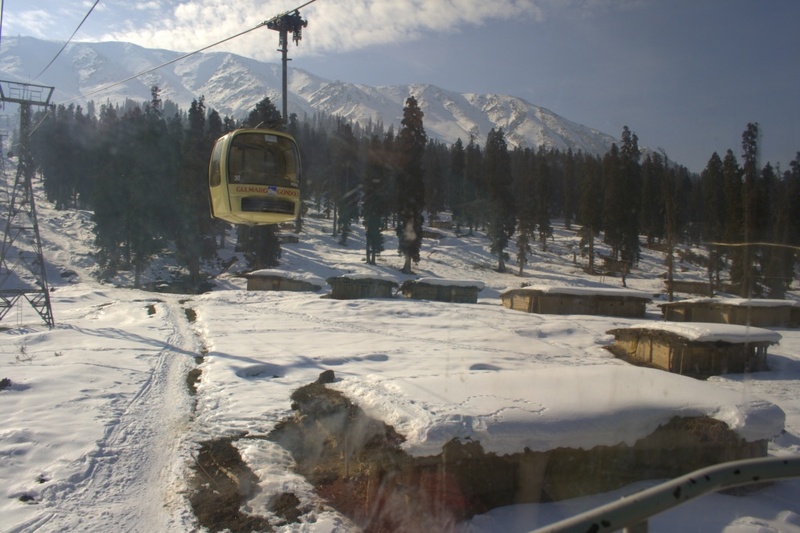 The Gondola is world’s highest and Asia’s longest cable car system with 36 cabins; it ferries 600 people to and fro and comprises of 35 towers and 30 stations. 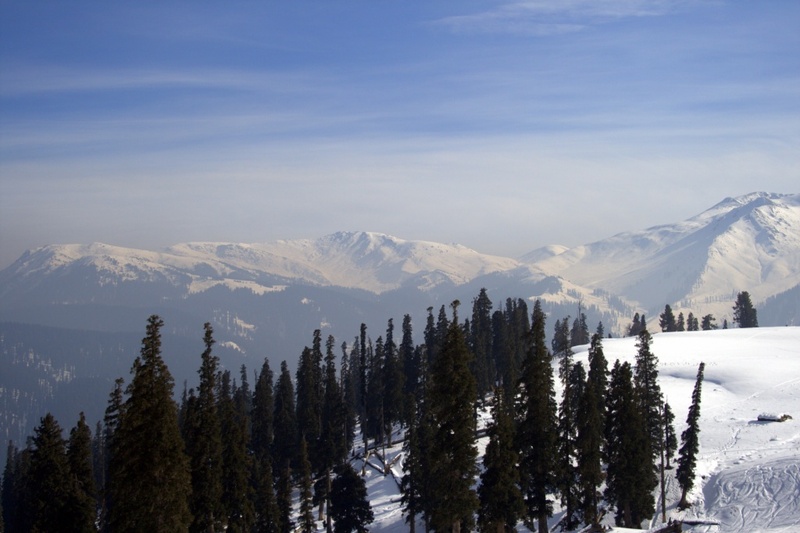 It is the only ropeway in the world that takes skiers to a height of 4390 mts. The view from the cabin is truly amazing. 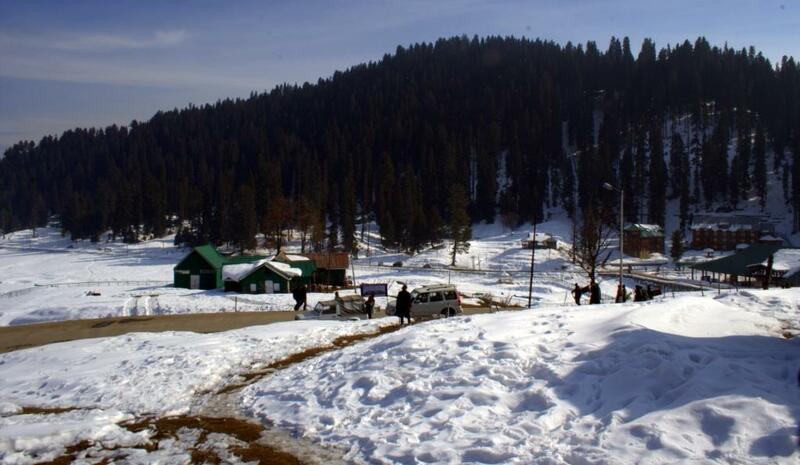 We reached Kongdoori and got so enchanted with the fields of snow; all thoughts of going anywhere else disappeared as we launched ourselves into the snow. Our adventure concluded with a great photosession wherein every one tried to bury as deep as they could into the snow or lie for as long as possible on top of it. We ended the glorious day with some hot kashmiri Kahwa and shammi kebabs. 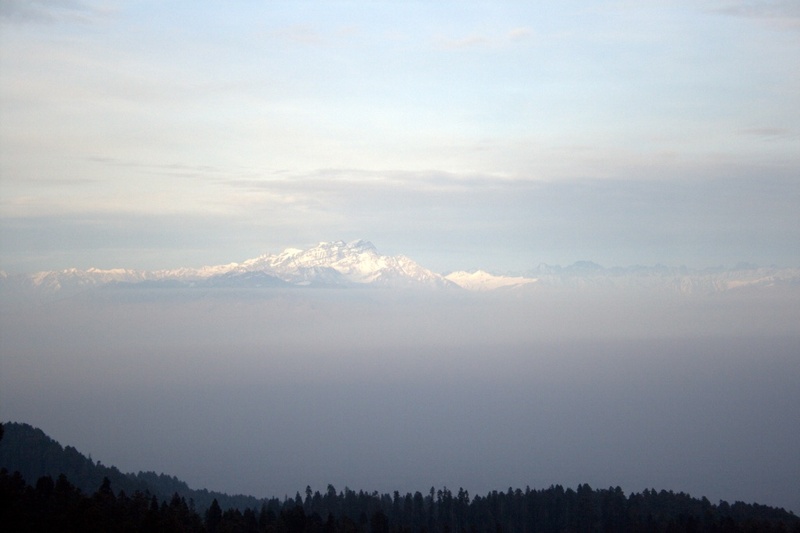 The view from every corner was spectacular and I could not resist clicking endlessly. Beautiful pics, and great write…… please post more pics…. thanks santa- will do so! !